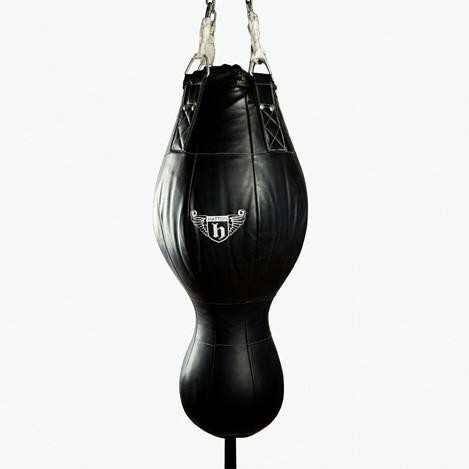 The bag is hand-crafted from genuine leather with a 1"inner foam lining to protect the boxer on impact. It has a soft, rag-filled lower ball and granule-filled upper ball. The bag requires four hook chains for a secure fixing.